In 1993, a buddy pointed out a job listing for an associate editor of Polyhedron Newszine. At the time I was teaching too many classes for too little money, so I figured I’d give it a stab. Long story short, after a few email and phone interviews, and then a bunch of waiting for a vice president’s signature, Jean Rabe hired me. Even before I arrived, Jean had begun to make her mark as an author of fiction as well as of games. Her Red Magic was one of the standout volumes of the growing Forgotten Realms line at the time, and her enthusiasm for gathering fellow writers together led to her creation of the Writers Symposium, the surprisingly large, vital, and high-quality con-within-a-con each year at Gen Con. Speaking of the Writers Symposium, its current organizer is Marc Tassin, whose Champions of Aetaltis Kickstarter Campaign features stories by both me and Jean, along with many other terrific authors. 1. You were the one who hired me at TSR, but I never asked how you were first hired. What’s the story? It’s an odd story, actually. I was a newspaper reporter for the Evansville Press, a Scripps Howard paper as far south in Indiana as you could drive. I ran the news bureau that covered a chunk of Kentucky. One of my editors called me a “gore reporter.” He said: “If it’s bloody and within a hundred and fifty miles of your office, it’s yours.” I covered murders, drownings, kids dying in house fires, air plane crashes, and a serial animal killer. I was shot at once out in the country. The editor would occasionally throw me a concert to review…I think help make up for all the blood. Anyway, about the time I was getting tired of all the blood (seriously, some of the stuff I saw still haunts me), Penny Petticord had turned in her notice at TSR. She coordinated the RPGA Network, and she called me encouraging me to apply. So I did, went up for the interview (held at Winter Fantasy), and was offered the job the next day. It was a big pay cut, but it was something new and interesting and I said I’d give it a try. Two weeks after I’d been working there, the guy who hired me walked into my office and said he hadn’t wanted to hire me. Said he wanted a guy to run the department ‘cause most gamers are male and so would better identify with a guy. But said he couldn’t find a guy with my qualifications. Had I known that on the day of the interview, I would have not accepted the job. In the end, I’m glad I did it. Opened up some doors for me and gave me an education on producing magazines. 2. You founded the Writers Symposium around the time I joined you at TSR and kept it growing for more than seventeen years before passing the baton to Marc Tassin. What were some of the high and low points of that magnificent feat of cat-wrangling? It started out as a couple of seminars attached to Lou Zocchi’s War College. But more people started coming to the writing seminars than to the war seminars, and so we outgrew the War College and I forged my own track. I’d coax more and more convention space out of TSR and later WotC, a second track, sometimes a third when they gave me the space, stuff going on in the evening. The shift to Indianapolis was tough at first because they kept us in hotel conference rooms; took forever to get them to give us a couple of big seminar rooms in the convention center proper. The high point was working with all the amazing authors. The low point was working with all the amazing authors. It’s tough to schedule so many people—many of who would want their schedules changed—and I would accommodate them ‘cause I was so happy to have them. The absolute best part was finding some great talent in the people who attended the seminars. I picked out a couple of folks each year and would mentor them in the months after the con, getting some of them published in anthologies I edited. Made me feel good, like I’d really contributed to someone’s future. 3. Speaking of Marc, what is it about the world of Aetaltis that most appeals to you? Why did you pick the location you did for your story? Marc Tassin is great. And his Aetaltis is such a rich world. I’m using it as one of the planes in the Pathfinder game I run. I love writing about dwarves. Dunno why. Maybe ‘cause I’m short. I just like dwarves, and so when I read his material about the stone ships, I figured AWESOME. Ships and dwarves and monsters, I was on for that. So I wrote this short story for him, created statistics for the featured weapon, and then decided I would run this as an adventure in my Pathfinder game. Urgh. My players are really fixated on getting ALL THE TREASURE. They don’t know when to run away. However, one of their characters is now wielding that special weapon (but I toned it down a bit from the version I gave Marc). 4. As one who’s contributed to different settings, what do you look for in a fantasy world as a writer? How about as a reader? It’s got to have something that sets it apart from everything else. I’ve read so much fantasy fiction, that anything new has to have a unique feel and a special spark. It’s not that I don’t like traditional fantasy. Geeze, I have all the Conan the Barbarian books (the original ones, anyway), and lots of Andre Norton’s stuff. I do like the traditional stuff. But life is short, my to-be-read stack is high, and I want something new and amazing. And that goes for reading and writing. 5. You’ve collaborated with others both as an editor and as an author. What are the most difficult parts of collaboration, and how have you overcome them? Many times collaborations are more work than if you just went ahead and wrote the whole thing yourself. I once had to drag a coauthor through a project to make the deadline and ended up writing three-fourths of it just to get it turned in on time. Some collaborations are twice the work for half the pay. You have to be sooooooooooo careful when you get into a collaboration project. Your partner has to be as driven as you or it’s a big headache. I’ve had two great experiences with fiction collaborations. I wrote a Shadowrun novel with John Helfers; it was a breeze, and he was awesome to work with. I’d never had so much fun bouncing ideas around. And I recently finished a novel with Donald J. Bingle, another dream project and a great guy to write with. 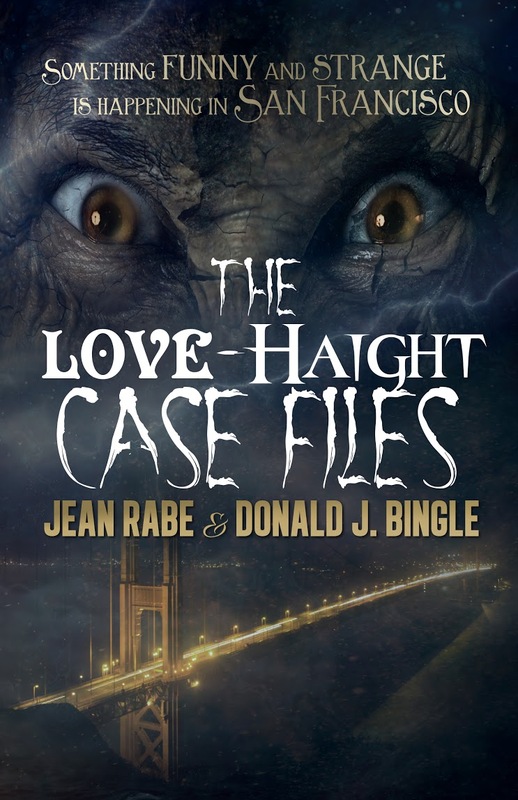 Said book, The Love-Haight Casefiles, comes out late this month from WordFire Press. I was also blessed to have projects with Andre Norton. I so admired her. We’d work up the idea together, I’d do the writing, and then I’d send it off for her to look through. One of my treasured possessions is a line-edited copy of Return to Quag Keep. I thoroughly enjoyed our brainstorming sessions. 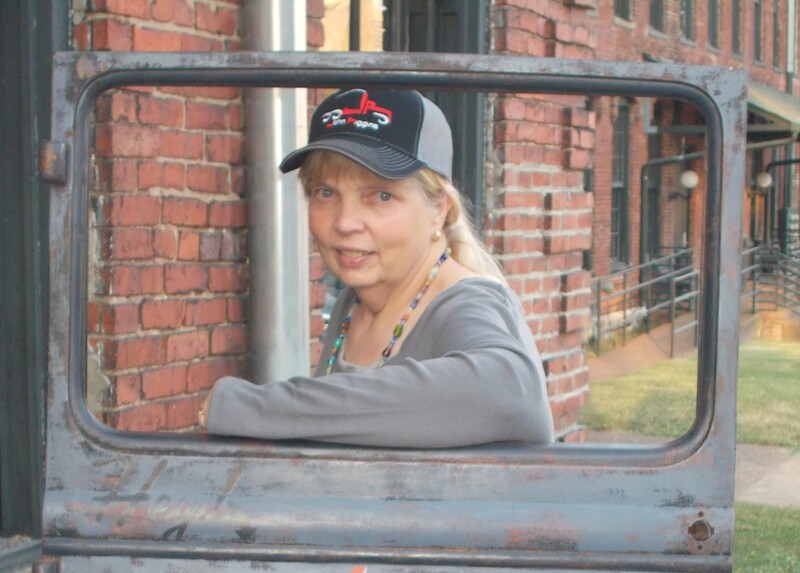 Watch for Jean’s latest news at her website.